Juanita Small Salmon works on a pastel painting. The painting will be donated to the Ninepipes Museum to be auctioned off during a fundraiser at a later date. 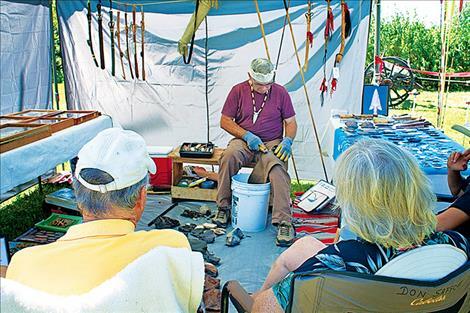 A small crowd gathers to watch Don Safford as he works on chiseling down flint to make an arrowhead. 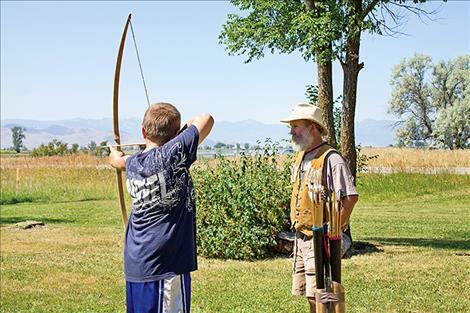 Gary Steele teaches Eithan McCauley how to shoot a traditional longbow. 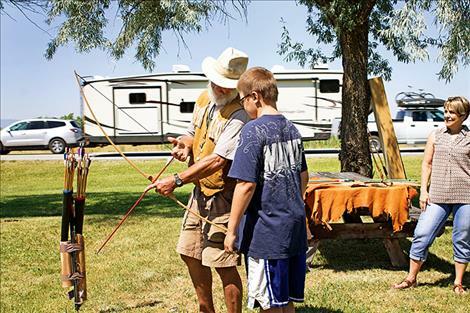 CHARLO – Sixteen artists and three demonstrators participated in this year’s second annual cultural arts fair on July 8 at the Ninepipes Museum of Early Montana. “We try to bring in a variety of artists to represent the diversity of the valley,” said Jo Cheff, one of the event’s organizers. Each artist donated one item that was sold in the silent auction. The museum also raffled off a painting by Marjorie Harper and a Pendleton Jackson Sundown commemorative blanket. Juanita Small Salmon was on-site working on a painting that will be donated to the museum and auctioned off at a later date. Local authors Robert Bigart and Joe McDonald were set up inside for a book signing. 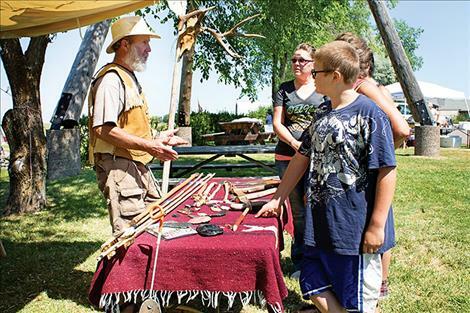 Years ago, the Ninepipes Museum held a yearly ice cream social that usually featured historical reenactments, but when many of the actors moved on, the event was canceled, Cheff said. 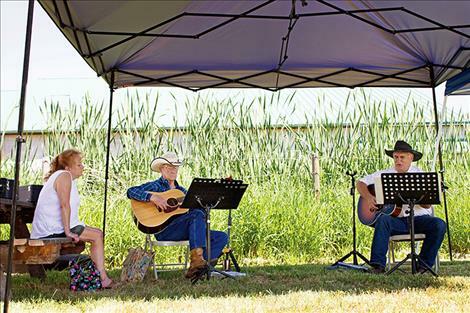 Last year was the first cultural arts fair, which was meant to replace the ice cream social. 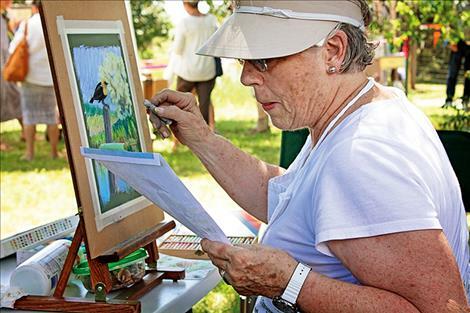 In addition to being a community event, the art fair also doubles as a fundraiser. Proceeds from the auction, raffle and lot rent from the artists will all go to the museum, said Kathy Senkler, event organizer. Senkler said the event was put together with the efforts of volunteers, local youth, and museum board members. Food was provided by Nancy Vaughn of Charlo, known locally for her fry bread. Senkler and Cheff both hope to bring in more local artists and musicians in the future. “We’re just trying to provide a chance for the community to gather to support local artists and appreciate Montana’s history,” Cheff said.